The concert venue at the Put-in-Bay Airport will open at 3:00PM. There is no re-admittance if you leave the venue. The North Gate Entrance Area will be located next to the taxi and bus drop off point near the small terminal building. The South Gate will be for those driving golf carts to the event. 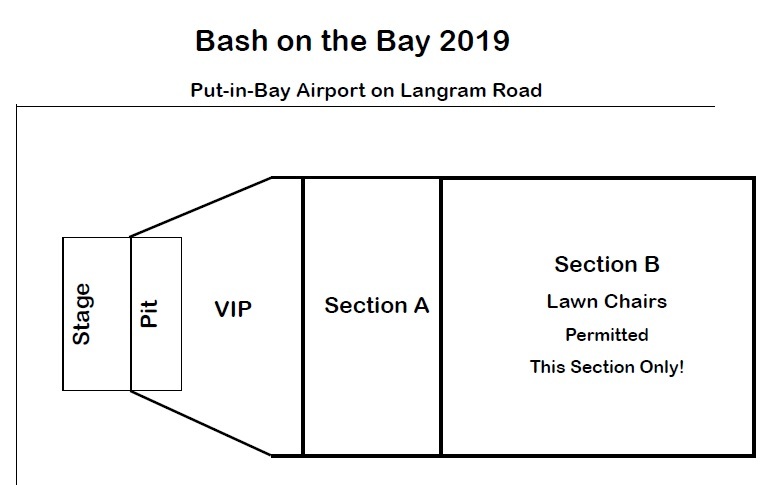 Golf cart parking will be located at the south end of the runway. Attendees walking from the Miller Ferry will be directed by security to enter the venue off of Airline D rive. You may then proceed to the Southern entry point.